Arrival at Port Blair airport. Transfer to Hotel, morning at leisure. Evening trip to Carbyn's cove Beach and return to Hotel after the Light & sound show at Cellular Jail for overnight stay. Early morning trip to Havelock Island, Check in at the Hotel. A trip to the Radha nagar Beach. Overnight at Havelock. Full Day leisure at Havelock. Return Back to Port Blair by evening ferry. Overnight at Port Blair. Proceed to Baratang Island and Check in at Dew Dale resort at Baratang. After lunch visit to mud volcano site, Baludera Beach and evening just before sunset a visit to Parrot Island. Return back to the Resort for overnight stay. 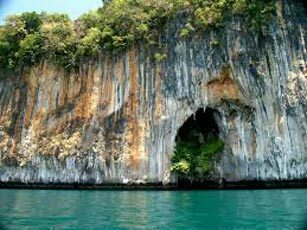 Morning after Breakfast visit to Lime stone Caves a natural wonder and return to Resort in Baratang Island. Full day at leisure in Baratang Island. 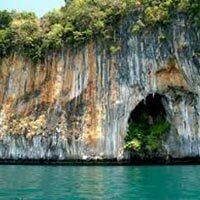 Full day Excursion to Jolly Bouy Island and return back to Hotel. Drop back to Airport to catch onward connections.